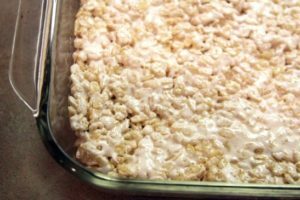 Almost all of the people i know likes rice crispy treats especially when you add marijuana to the equation.. There’s just something about ripping off a piece of gooey goodness from a rice crispy treat that makes me smile every time. Plus the recipe below packs a punch, so it’s a double bonus. 1. In large saucepan melt butter over low heat. 2. Add marshmallows and stir until completely melted. Remove from heat. 3. 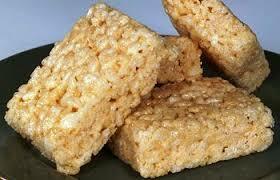 Add rice crispy cereal. Stir until well coated. 4. Using buttered spatula or wax paper evenly press mixture into 13 x 9 x 2-inch pan coated with cooking spray. 5. Cool. Cut into 2-inch squares. Best if served the same day. 1. 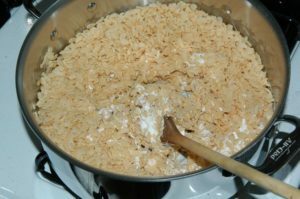 In microwave-safe bowl heat butter and marshmallows on HIGH for 3 minutes, stirring after 2 minutes. 2. Stir until smooth. Follow steps 2 and 3 above. Microwave cooking times may vary.